The report described factors that may lead to problem cannabis use. The committee found substantial evidence that being male, smoking cigarettes, and beginning cannabis use at an earlier age are risk factors for developing problem cannabis use. 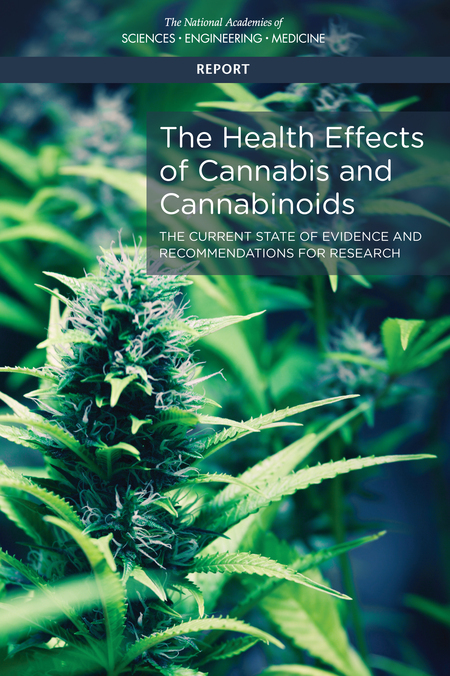 There was moderate evidence of a link between cannabis use and the development of a substance dependence or substance abuse disorder for substances including alcohol, tobacco, and other illicit drugs. In the realm of psychosocial functioning, the committee found moderate evidence that acute cannabis use is associated with impairment in the cognitive domains of learning, memory, and attention. The strongest findings with regard to beneficial effects of marijuana were that cannabis can treat chronic pain in adults, and that oral cannabinoids can reduce chemotherapy-induced nausea and vomiting and improve multiple sclerosis spasticity symptoms. 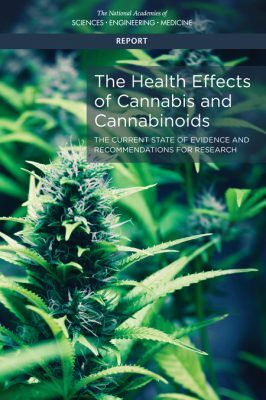 There was also moderate evidence that cannabinoids (particularly an extract called nabiximols) can improve short-term sleep outcomes in people with a variety of ailments. Some of the beneficial effects of marijuana have been linked to the cannabidiol compound, as opposed to the THC in marijuana, which causes the psychoactive effects of the drug. Editor’s Note: The link between cannabis use and psychosis risk is strong, and reason enough to avoid marijuana use. A common variant of the COMT gene that influences dopamine metabolism increases this risk in young users. The more efficient val-val allele of COMT increases risk of psychosis by depleting dopamine in the prefrontal cortex.